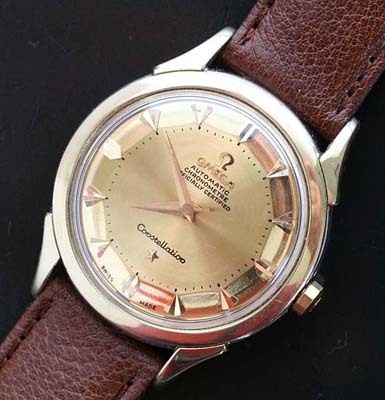 A vintage Omega Constellation Chronometer, with a restored gilt pie-pan dial and gold capped case.. The pie-pan dialed Constellation Chronometer has become and iconic model for any serious collector and for most with a casual interest in vintage watches. 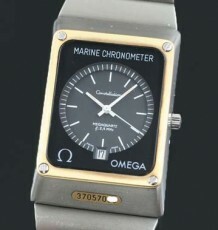 This particular watch has a 2-tone restored dial with a matte gold centre section and mirror finished outer track. The raised large arrowhead hour markers are combined with gold coloured dauphine hands. 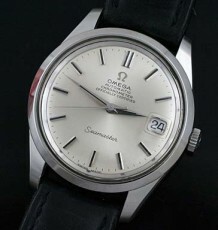 The 24 jewel Omega caliber 505 Chronometer grade movement which is adjusted to 5 positions, was just serviced by my watchmaker and is keeping excellent time. 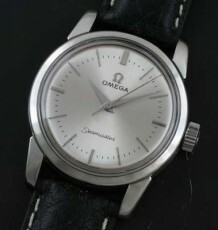 The serial number of the movement in the 16 million range dates the watch to 1958. The gold capped case features a heavy 14 karat gold bezel and case top cladding. This model is identified as reference 2852-10SC, stamped inside the heavy snap-on caseback, which still has a crisp gold Observatory medallion in the center of the back, showing all of the stars around the observatory. The case measures 34.5 mm wide by 43 mm long. 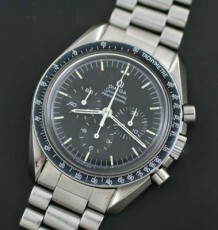 The watch will be sold with either a black or brown calf leather strap.